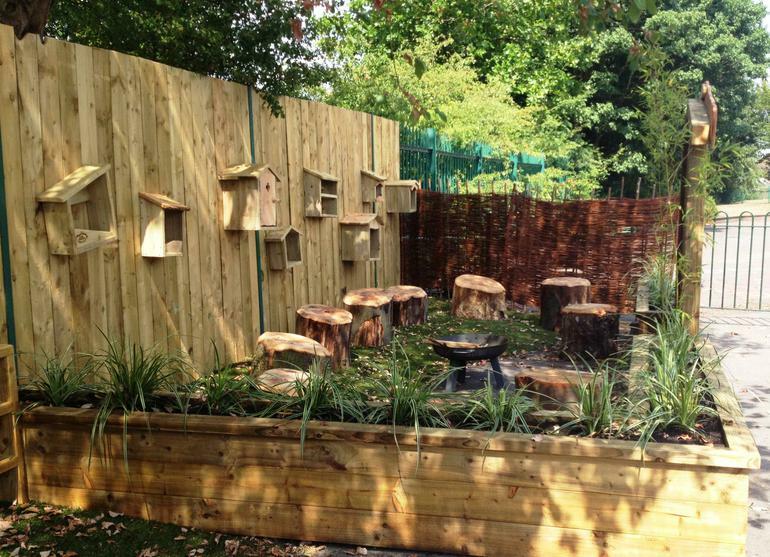 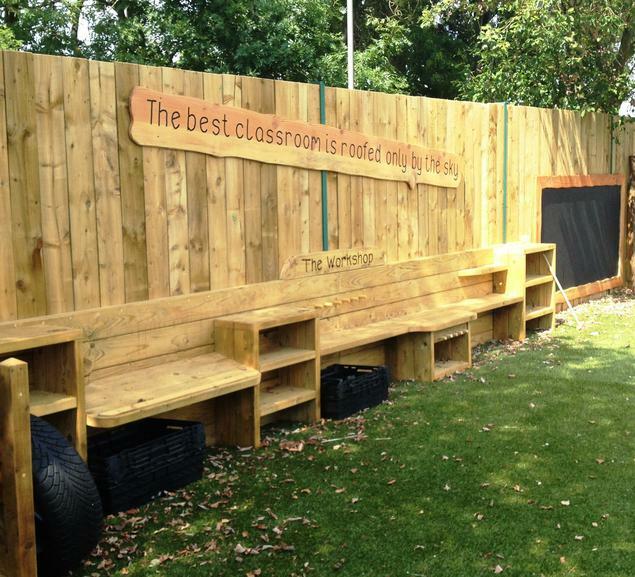 The redevelopment of our outdoor classroom is now complete and the transformation is amazing! 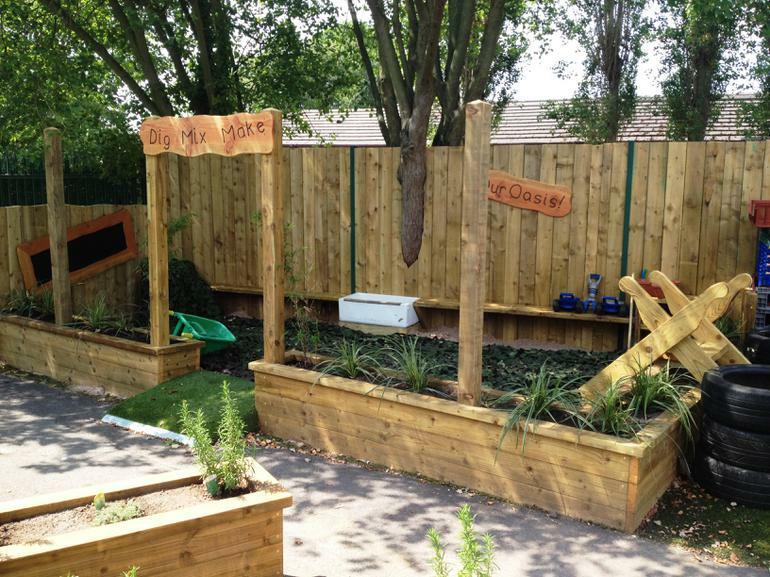 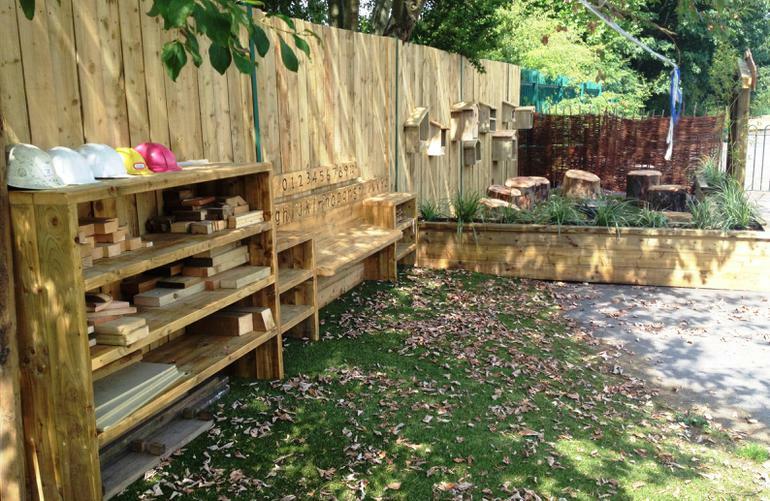 The teachers have worked closely with the hugely talented landscapers and craftsmen from ‘Cool Canvas’ (as seen on ‘George Clark’s Amazing Spaces’) to create a bespoke natural playspace and magical outdoor learning environment. 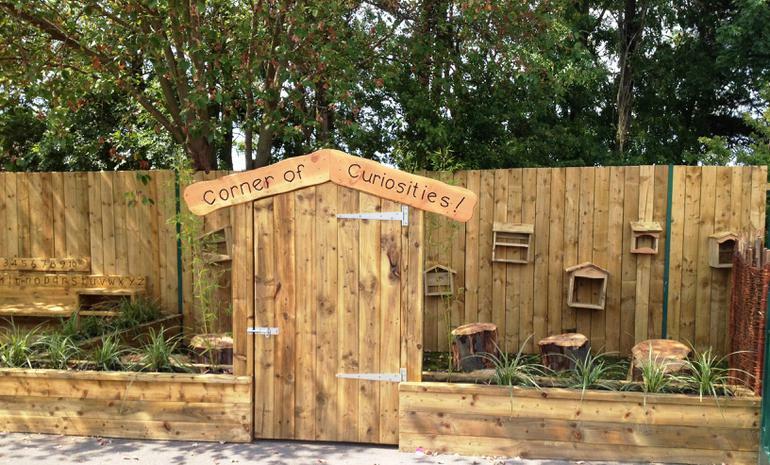 Using all natural materials and reclaimed timber, the Cool Canvas team have provided us with a hand-made, purpose built texture kitchen, ‘our oasis’ sandpit, a raindrop waterwall, construction workshop and, most exciting of all, the enchanting ‘corner of curiosities’, complete with firepit! 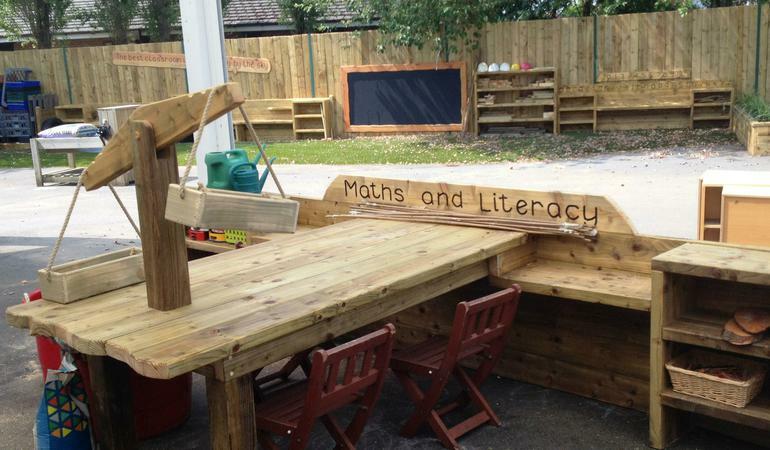 *Please ensure your child has their waterproofs & wellies in school (labelled) so that they can fully immerse themselves in exciting outdoor learning experiences every day, whatever the weather! 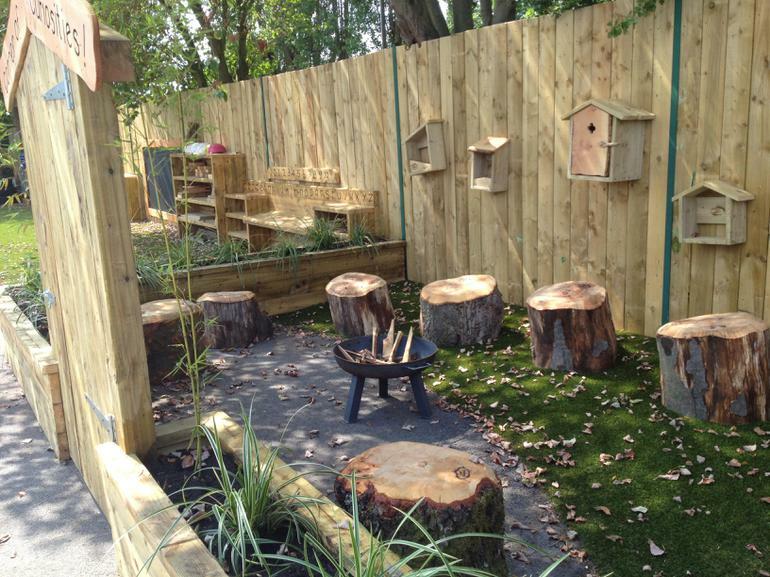 Our amazing outdoor learning environment!